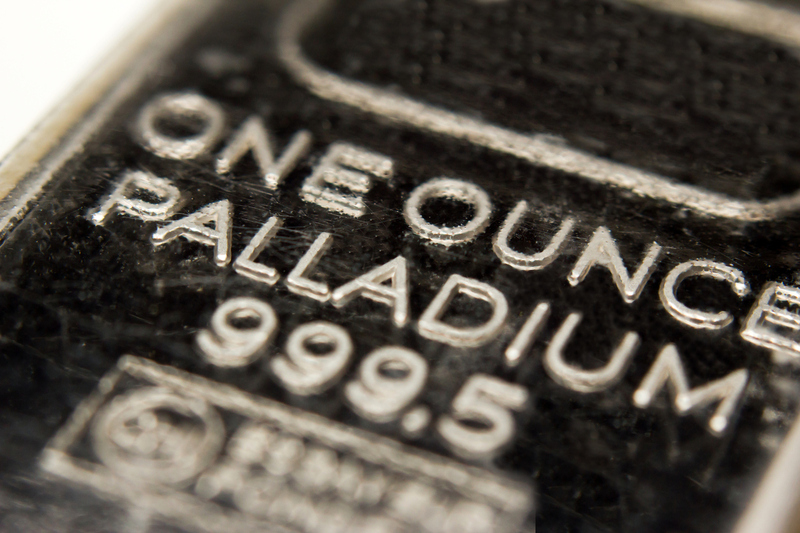 Palladium is expected to hit its highest annual average price on records going back three decades this year after tightness in the lending market pushed prices to 16-year highs last month. A poll of 26 analysts and traders conducted by Reuters this month returned an average palladium price forecast of $811 an ounce for this year, 5 percent above an average view of $770 returned by a similar poll conducted in early April. Palladium rallied sharply in late June as analysts and traders reported tightness in the lending market, which squeezed prices higher. The metal hit a peak of $914.70 an ounce and climbed to within $50 of sister metal platinum. Next year palladium is expected to extend gains, to an average $849 an ounce. The current record annual average price for the metal is $799 an ounce from 2014. Palladium had already been well supported this year by expectations that tightening emissions controls could push up automotive demand for the metal, a component in catalytic converters. Catalyst manufacturer Johnson Matthey said in May the palladium market deficit was expected to widen to 792,000 ounces in 2017 from 163,000 ounces last year. Banks cut back their platinum forecasts, meanwhile, by 5 percent to $955 an ounce, down from $1,007 an ounce in April. Johnson Matthey predicts the platinum market would see its first surplus in six years in 2017. Jewelry demand in main market China is expected to languish after coming under heavy pressure in recent years from a switch in consumer spending towards other luxuries such as foreign travel. Like palladium, the metal is also used in autocatalysts, but loadings are heavier in diesel engines, which are less popular in major markets like China and the United States, and which are losing market share in Europe. Platinum has underperformed palladium this year, leading some to predict the two metals, whose spread has averaged $470 in platinum’s favor over the last 30 years, could reach parity this year for the first time since 2001. “Very bearish positioning in platinum futures and bullish positioning in palladium futures point towards hedge funds being short the platinum/palladium ratio,” Julius Baer analyst Carsten Menke said. Next year, platinum is seen at $1,050 an ounce, the poll indicated.